While I was not impressed with the 7" single of 'House of thorns' by Fiat Lux (see it here), this 12" single pleases me more. It features a remix of the title track plus two B-side tracks. 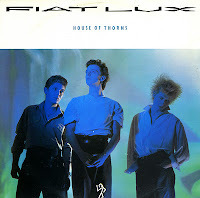 The remix of 'House of thorns' makes it sound less like a demo and more like a track that could actually be danceable. The first B-side, 'Threes company' appears on the 7" single too, but the second B-side, 'Sally free and easy' is a bonus, and a good one at that: it's a modern version of a folk song written in the 1950's by Cyril Tawney. It's how Enya would sound if she was a bit more experimental. 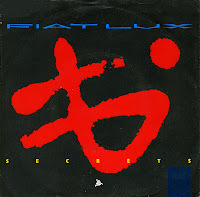 Back in November 2008, I featured the 7" single of Fiat Lux's 'Secrets' on this blog. The song cannot be downloaded from there anymore as I never reupload tracks (so don't ask, please). 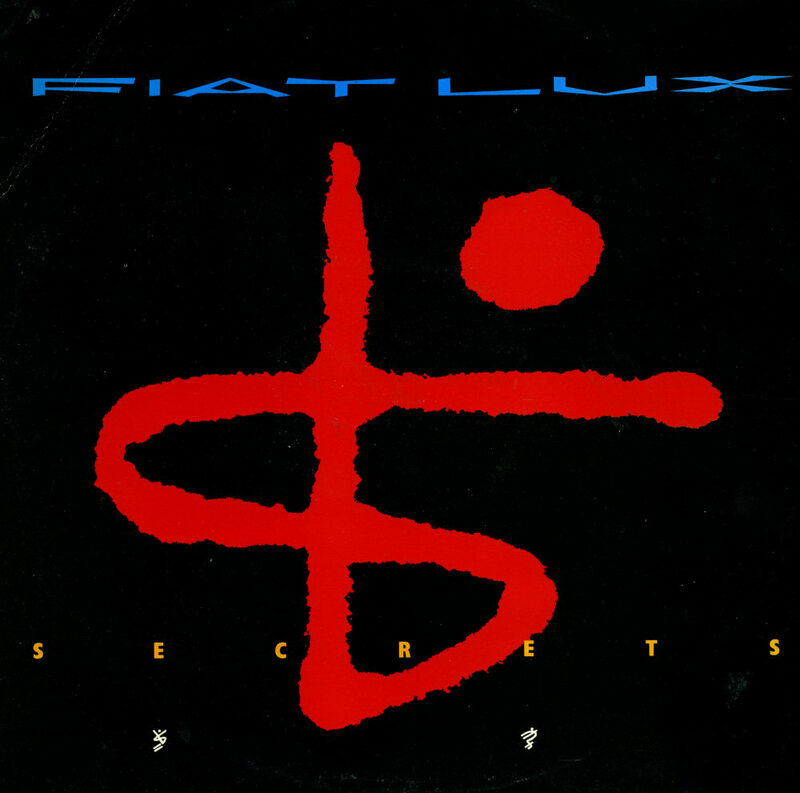 Fiat Lux is one of those great unknown synthpop bands from the first half of the Eighties. They had two singles in the lower regions of the UK singles chart, but that was about it for them. I featured their singles on this blog last year, but I'm glad to say that I also own the 12" versions of most of them too. 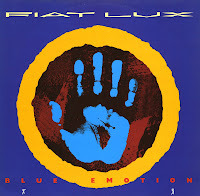 'Blue emotion' is a particularly good 12" single, as it features extended versions of both the A-side and the B-side. When you listen to 'Blue emotion', you could easily mistake the band for Ultravox, as it's got these creepy synth sounds that wouldn't sound out of place on the classic album 'Vienna'. After the singles 'Secrets' and 'Blue emotion' had made a big impact on me, I started trying out other singles by Fiat Lux. I bought 'Photography' and this one on the same day, hoping for more jewels in their repertoire. All I can say is: sometimes you strike out. 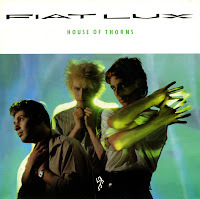 While 'Photography' still sounds interesting, 'House of thorns' is a bit of a mediocre affair. It seems like an unfinished demo; the production could (and should) have been tighter. Oh well, it's still not bad compared to loads of other songs around these days, but I won't play this often. 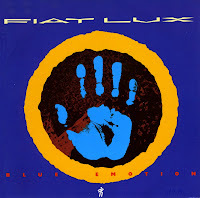 Fiat Lux followed up their single 'Secrets' with the up-tempo track 'Blue emotion'. Some sounds on this track reminded me very much of Ultravox, and if someone had told me it was their new single, I probably would have believed it. My sister played this single a lot when I was younger, so when I came across this single years later, I still knew I wanted to have it. I was really surprised, then, to find out I'd bought a copy on coloured vinyl. 'Blue emotion' was released on - wait for it - blue vinyl. How imaginative. 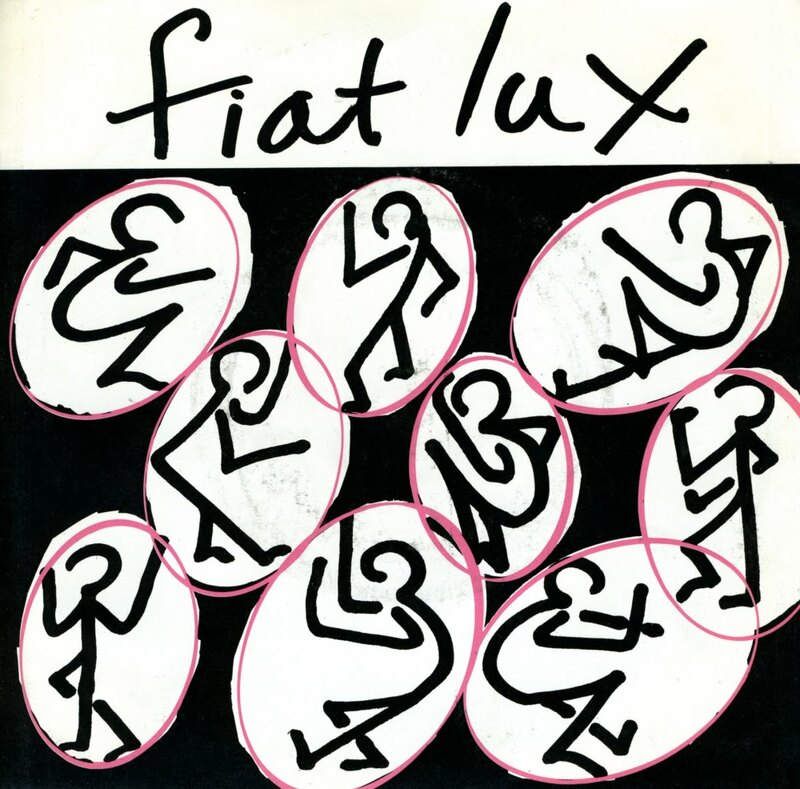 Fiat Lux had released one single on an independent label before they signed to Polydor. And 'Photography' was their first single on the Polydor label. It wasn't until the next single was released, 'Secrets', that the group reached the lower regions of the UK charts. Contrary to what I wrote previously, Fiat Lux did release an album: the mini-lp 'Hired History'. Both tracks of this single appear on that mini-lp, as well as two other single a- and b-sides. I found 'Photography' together with a later single 'House of thorns' in 1999. In 1983, there were a few songs that I deemed instant classics. This was one of them. Fiat Lux was the best synthpop band that never made it. 'Secrets' was the best example of their extraordinary talent. Part ballad, part popsong, part classical music, it contained almost everything that I admired. 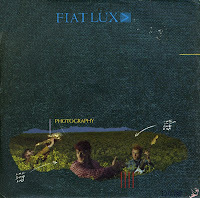 Fiat Lux formed in Yorkshire (UK) in 1982 with Steve Wright (vocals), Ian Nelson (sax, keyboard) and Dave Crickmore (guitars, keyboards). They never released any albums, however, there are several singles out there, most of which I have. The first one I bought was this 'Secrets', in 1989. Until then, I had to make do with a radio recording.